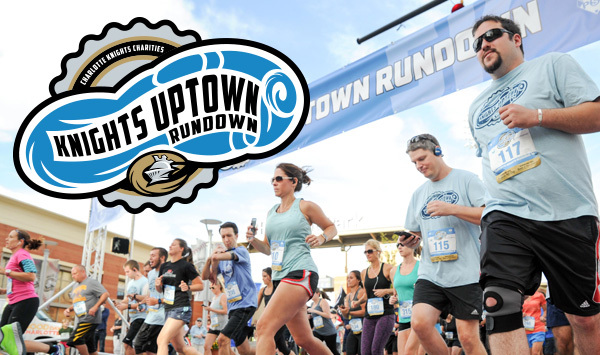 Join Charlotte Knights Charities for the 2nd annual Uptown Rundown 5K, presented by Professional Sports Catering, on Saturday, September 29, 2018 at 5:30 p.m. at BB&T Ballpark! Registration includes access to the race after party, located on the main concourse of BB&T Ballpark, home of your Charlotte Knights! Live music, ballpark food, and a Kids Fun Run with Homer - the Knights beloved mascot - will be available post-race! And prizes for the top finishers in each age group! All proceeds from the Uptown Rundown will benefit Charlotte Knights Charities. The funds raised from this event will help the Charlotte Knights provide financial assistance to charitable organizations that share in the same goal of advancing education and promoting recreational activities to disadvantaged and underprivileged adults and children. Together, our goal is to inspire, grow, and embrace the Charlotte community to create and leave a lasting legacy.